Make a drink and put your feet up for this week as Hannah and Mark talk all things Sage 200 2016, the latest and greatest release from Sage. They will discuss all of the new features, benefits and everything else you need to know about the new software. In this week’s add-on section, they will tell you all about the brilliant Web SO by Eureka Solutions, the ultimate web accessible sales order program. Due to it being web/browser based program, this meaning you can place web orders from anywhere and on any type of device, it is ideal for sales reps out on the road. 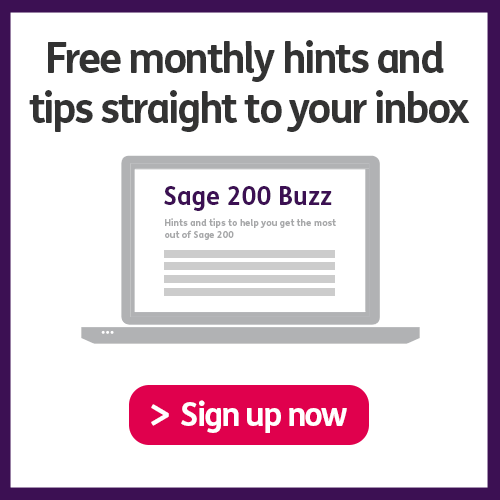 If you would like to find out more about Sage 200 2016, check out our blog <href="https: itassolutions.co.uk="" whats-new-sage-200-2016="">‘What’s new in Sage 200 2016?’ </href="https:>.